Hello lovelies, today I thought I would share with you another one of my new years resolutions, which was to save some pennies as well as my beauty spending ban. I was looking on Pinterest the other night and came across this, I thought perfect! Especially if you live with your partner or house mate etc you could all chip in! 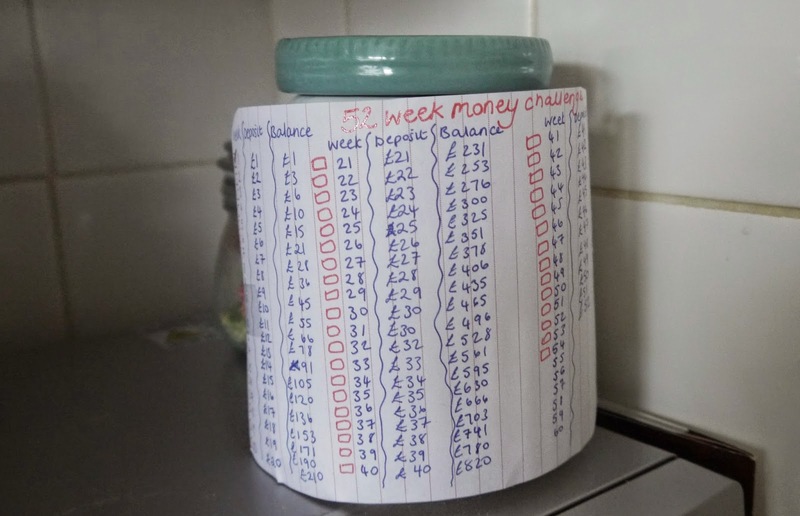 The plan is to put in a pound a week, each week the pound adds, for example first week £1, second week £2 etc. 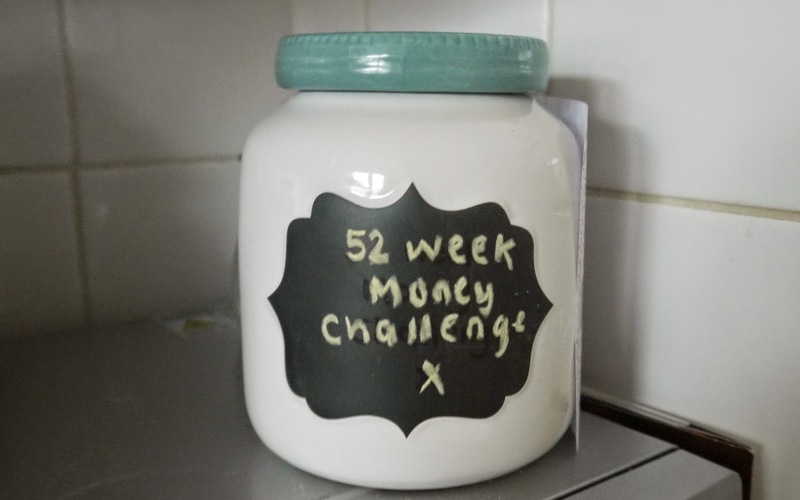 As I am on week two now I have put two pounds in, I took these pictures just to help you out and give you the jist of it all, but if you would like to see the better real version here is a link - 52 week money saving challenge. I got the cute little jar from Wilkinson's for just £4 I love how you can write on the front with chalk, I recently got a smaller one too as they are in the sale. If like me you are rubbish at saving I think this is a great invention, if you can't trust yourself to not keep dipping into the jar either then get one of those smashable jars, at the end of it you will have over a grand! All worth it if your going on a holiday, saving for a car, to go towards a house or furniture for inside a new place or just a big old shopping trip! 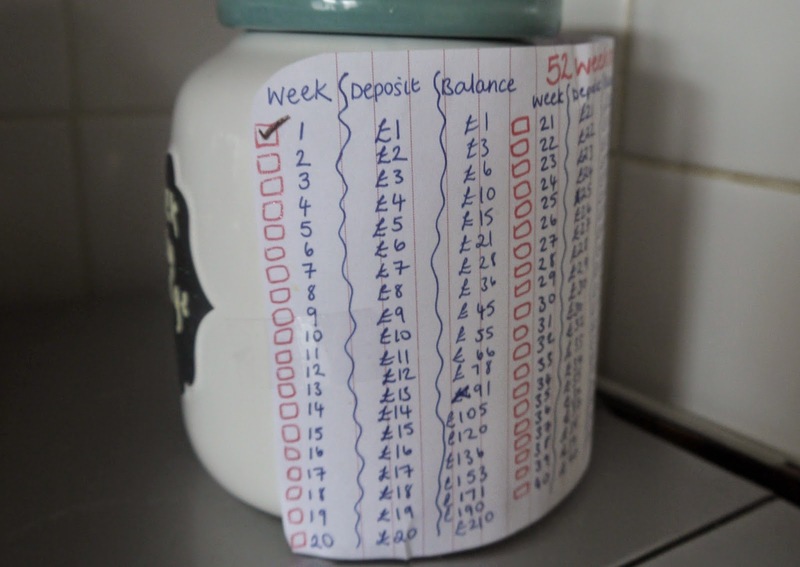 I wish you luck if you plan to join me on this money saving journey and keep me updated on Twitter or on the comments below, we can spur each other on.